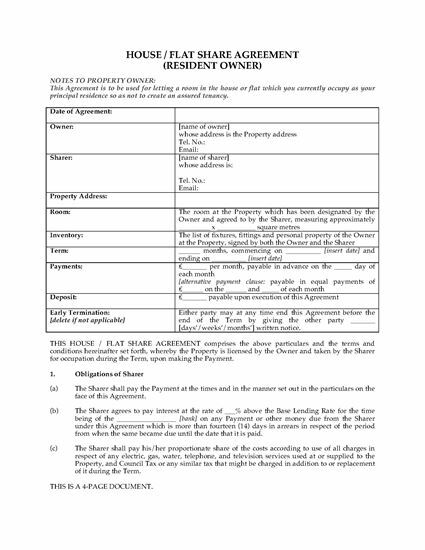 Let part of the house or flat you live in to a tenant (sharer) under this House / Flat Share Agreement. 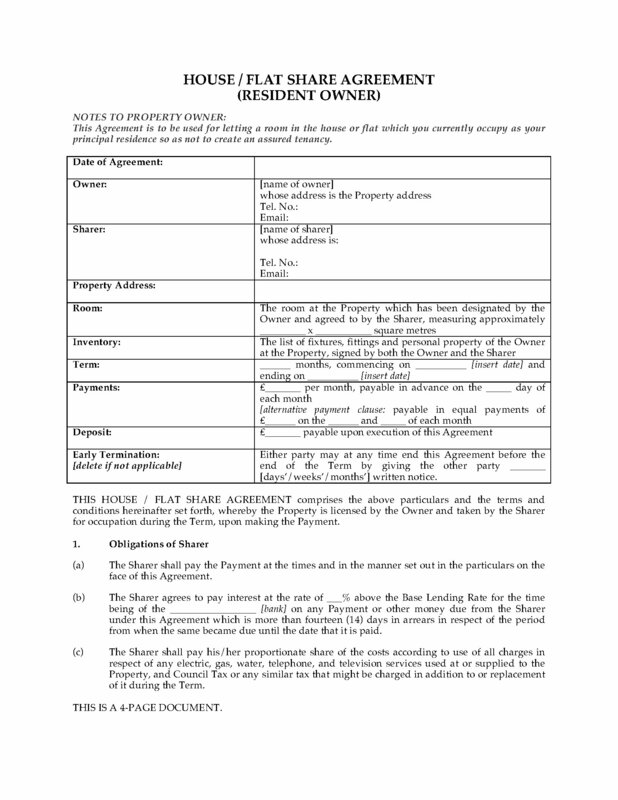 The Share Agreement is similar to, but different from, a roommate or boarder arrangement. This legal agreement can only be used in England and Wales. The tenant â„ sharer must pay a proportionate share of the costs of electric, gas, water, telephone and television services. The tenant â„ sharer has the right to use the common areas and facilities of the home (bathrooms, toilets, kitchen, lounge, laundry.). The tenant â„ sharer must pay a deposit which will be held by the owner until the end of the tenancy. The owner is responsible for insuring the property, furnishings and other items supplied by the owner under the agreement. To obtain the digital file, add it to your cart and proceed through the secure checkout. After paying, you'll be able to download and use the form immediately.